Utilities organizations are under real pressure on many fronts to improve their operational performances, with many are facing competition for the first time as a result of deregulation and feisty competitors offering genuinely disruptive solutions. 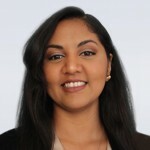 We asked HfS Research Director, Reetika Joshi, to take a deep look at the marketplace, with the resulting HfS Blueprint Report: Utilities BPO 2015 looking at traditional BPO services, in addition to emerging As-a-Service platforms and evolving commercial models. Plus, Reetika uncovers robotic process automation (RPA) and analytics in service delivery. What’s on the minds of utilities services buyers, Reetika? Rapid innovation to grow top lines, with new energy sources, distributed power systems, changing business models, more smart grid and meter rollouts, more deregulation and a new breed of competitors ranging from internet companies to cable providers. Customer centricity to differentiate, with consumerization that has driven customer interactions onto digital channels, changing preferences with rising environmentalism and technology advances and customers’ need for more control in energy types, sources and efficiencies. Operational efficiency to manage bottom lines, with the global decline in power demand due to greater energy efficiency, constant debate in regulations over environmental and market policy measures, aging assets that need to be maintained and retired while acquiring new ones, and the resulting outdated legacy systems, internal structures and operational environments. Report author Reetika Joshi, HfS Research Director (click for bio). How does this impact BPO…what is the state of the utilities BPO market today? Utilities BPO engagements have fulfilled very traditional needs in the last 15 years. Buyers have leveraged third party service providers predominantly to administrate their meter-to-cash operations. These volume-based activities require processing power for growing customer bases, and service providers filled the gaps well, from customer acquisition, contract processing, account maintenance to billing and cash collection. A large part of the work involves intensive call handling for support services such as debt collections, onboarding, complaints, inquiries, outage reports, etc. Cost pressures led utilities to further outsource ITO, supply chain and procurement, payroll management and accounting services. We are still hearing about interest in such traditional BPO service delivery built on labor arbitrage and process consolidation, as a section of the utilities market is still new to outsourcing and risk-averse. However, we expect this model to change in the medium to long term as As-a-Service components make their way into the mainstream. Service providers have been instrumental in writing off legacy from a technology and consulting perspective. They have seized the opportunity to help utilities gain agility and speed to market on new product development and deriving value from smart meter and advanced metering infrastructure deployments. BPO operations are now a derivative opportunity for modernization after system upgrades. In some cases, service providers that have a long history of working with utilities have taken big leaps in bringing in automation and analytics in meter-to-cash, asset management and horizontal processes to realize new value. Others that are domain experts in customer experience are taking utilities along the journey to customer centricity similar to other retail-facing verticals. So who’s winning in utilities by adopting an As-a-Service approach? The HfS Winner’s Circle For Utilities BPO features service providers that have invested heavily in vertical-specific innovation in the last couple years. In the last two years, we see a heightened focus from leading service providers on enabling service delivery for true value creation — away from labor arbitrage, where large deals primarily constituted re-badging of FTEs, selecting basic SLAs and lift-and-shift of processes to the service provider. EXL and Accenture are playing a greater role in core utilities operations such as field force management and support using predictive modeling and forecasting to optimize labor effort. Both are also developing offerings to support new operational areas such as new energy solutions and smart services. TCS has been instrumental in building collaborative engagements by committing to outcomes, gainsharing and using RPA and analytics to improve utilities operations. The High Performers in this Blueprint include Capgemini, WNS and Vertex. These service providers all have over a decade of experience in running BPO operations for utilities clients. They have varying concentrations of geographical experience, across continental Europe, UK and the US respectively. We see the potential for differentiation with all three, with Capgemini’s thought leadership on smart grid and AMI technology that needs to be better integrated with BPO, WNS’ customer journey frameworks that utilities are finding to be extremely relevant, and Vertex’s evolution from a customer care BPO brand to an As-a-Service provider with its new customer interaction platform, VertexOne. It will take these service providers some time to bring scale to these advances in their utilities BPO portfolios, and we expect significant competition exerted by them to the Winner’s Circle providers in the near future, depending on the client geographies being targeted. What’s next for this market? The industry challenges for utilities service buyers that we outlined earlier resonate well with leading service providers. They are increasingly aligning themselves to deliver on such outcomes through a range of offerings and partnerships to bring the best-of-breed technologies and services together for utilities clients. Significant expertise in various intelligent automation technologies to automate back-office processes and release FTEs in legacy contracts in meter-to-cash, F&A, and HR. Flexible commercial models, especially for new energy products and services where utilities require more variability to test market demand. Developing multi-channel customer interaction services in multiple geographies, particularly 24/7 support for critical interactions such as fault and emergencies. Continued evolution of smart service offerings as service providers get more hands-on experience with new deployments. Consultative support and collaboration tools such as design thinking methodology to orient utilities operations around the customer journey. Overall, we see a growing appetite for change with utilities services buyers, but execution will be entrusted gradually to domain/geographic experts. HfS sees utilities services buyers starting to realize that they need to fundamentally rethink their business models and operations, spurred by industry disruption. Being asset-laden and capex-intensive commodity providers traditionally makes it an extremely challenging environment for driving internal change. It will thus take this vertical longer to write off legacy and execute on strategic priorities that are being set now. However, the ones that can engage a broader ecosystem of partners to play catch-up on consumerization and new technology investments will see greater differentiation, even with the pace of regulatory and industry change underway today. Reetika Joshi can be tweeted at @joshireetika. HfS readers can click here to view highlights of all our 29 HfS Blueprint reports. See our plans for 2016 Blueprints here. 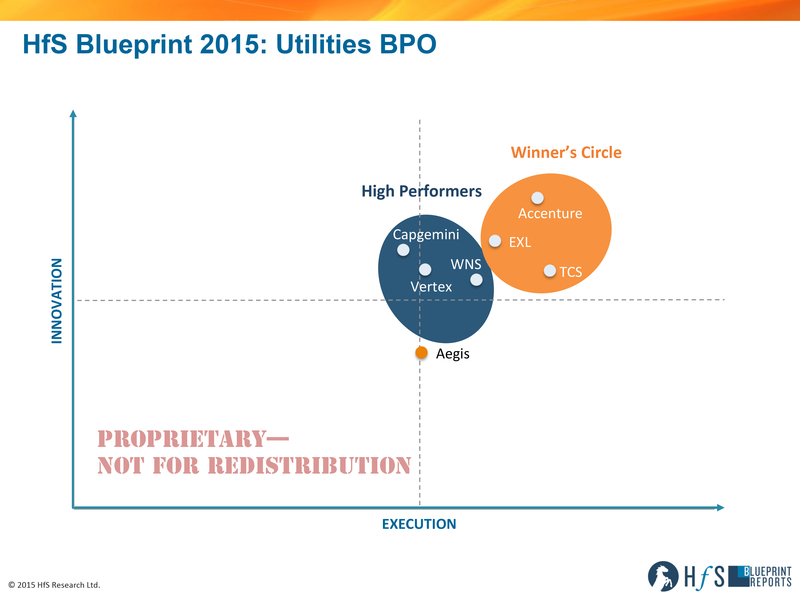 HfS subscribers click here to access the new HfS Blueprint Report, "HfS Blueprint Report: Utilities BPO 2015"